At Sky Valley we take the greatest care when choosing our natural organic ingredients for your food. We want to ensure that our products offer your family a healthy, flavorful, quality alternative. We do not use artificial ingredients or artificial sugars so you are always enjoying real food. Full flavored vinnaigrettes and dairy-free ranch to enhance all your salad creations. Delightful organic marinades to create real, tasty meals, that are quick, and easy. Explore our organic range of condiments; Naturally sweetened with Agave Nectar. Pasta and pizza sauces made with vine-ripened tomatoes, real herbs, and natural agave for real flavor. Our newest addition to our organic product range are lightly sparkling sodas with natural flavors. 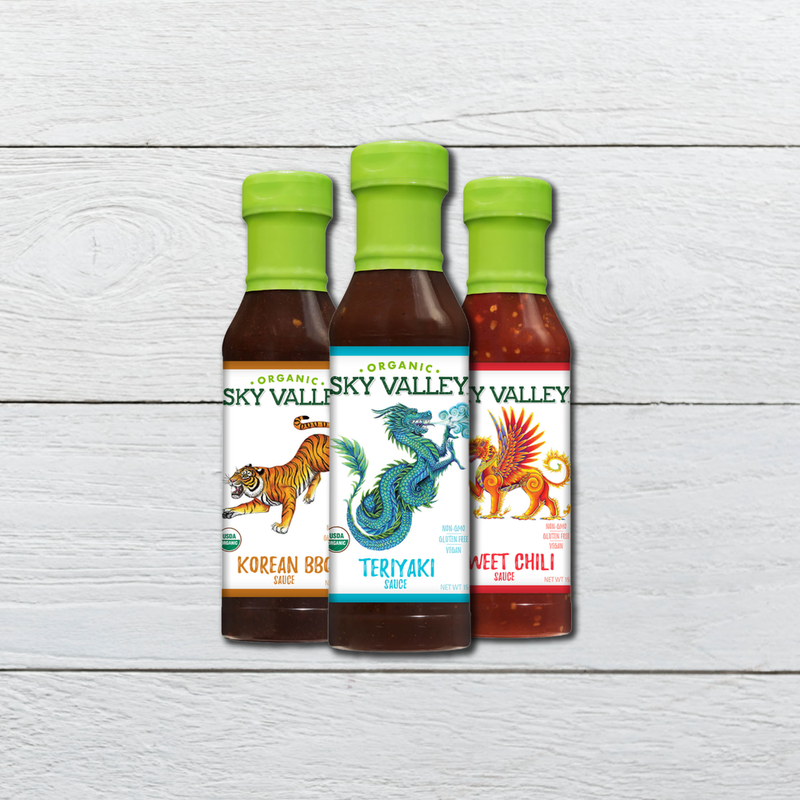 Full range of International Sauces inspired by flavors from around the globe from Asia to Latin America. Organicville’s salsas are USDA certified organic, gluten free, dairy free, vegan, and tasty.